Could you provide more information about this 2007 Yamaha VINO XC50 ? )Siegfried's Motorwerx LLC is very proud to offer this GORGEOUS 2007 Yamaha Vino XC50 CLASSIC for sale! 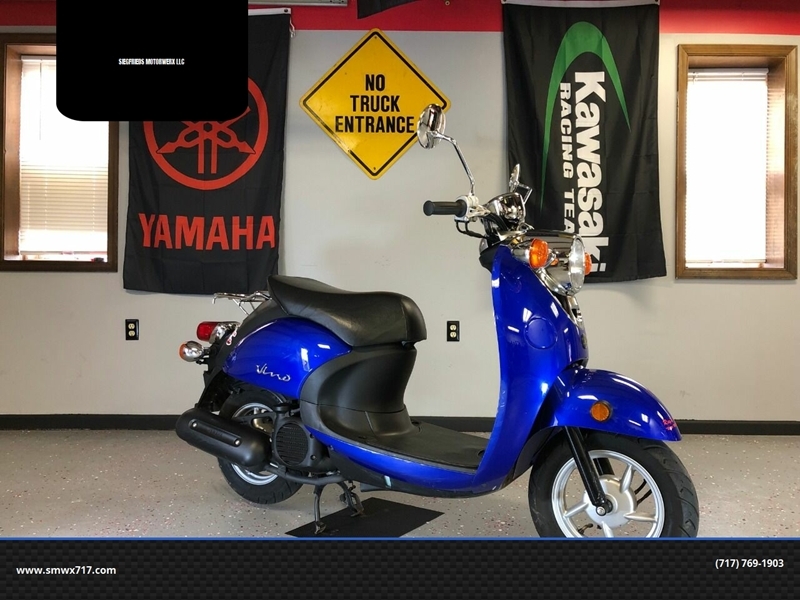 This scooter features low miles, the legendary YAMAHA 49cc powerplant, and is cosmetically in very nice condition! The Yamaha Vino lineup over the years has proven one thing. If you mix classic scooter styling with the proven reliability of Yamaha's scooters and other powersports, you end up with the ultra cool, ultra retro, YAMAHA VINO! These scooters are great for many purposes, wether you are looking for a mode of transportation that is easy on the wallet, something to get your feet wet with on two wheels, or simply want to enjoy some freedom on two wheels, the Yamaha Vino is ready to take on the task! This scooter has been fully serviced and is ready to RIDE!! We are able to offer several different levels of warranties on this scooter! If you have any other questions about this vehicle please feel free to contact us! What is the price of the 2007 Yamaha VINO XC50 you have in your inventory? What is the mileage of the 2007 Yamaha VINO XC50 you have in your inventory? I was wondering if this 2007 Yamaha VINO XC50 is still available?